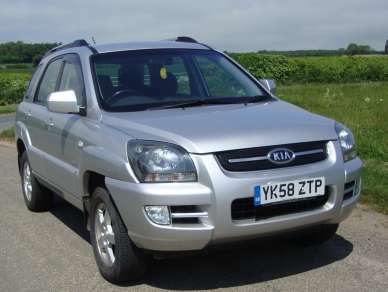 SEPTEMBER 2008 KIA SPORTAGE XE 2.0 TD 5 DOOR, SILVER, 69,750 Miles, REMOTE CENTRAL LOCKING, Aircon, Radio/cd, E/w, E/m, Front fogs, Alloys with 235/60R16 tyres, Roof bars, parcel Shelf. Service History. MOT 2nd JULY 2018.